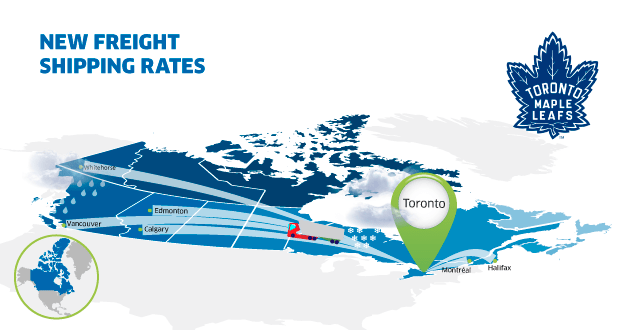 Freightera just brought in over 1000 new lanes connecting major cities in Canada. Rates between Toronto & Greater Toronto Area ON, and cities in Canada & USA (cross-border) have just declined again – up to 69% off the previous rates. Toronto, ON to Cleveland, OH. $762.75 CAD. We are adding new rates every week. Please check our shipping rates in Canada frequently for expanding coverage and deals. Not a customer yet? Sign up for free, request instant quotes, and get access to over 5 billion freight rates in Canada & USA.